Bark! 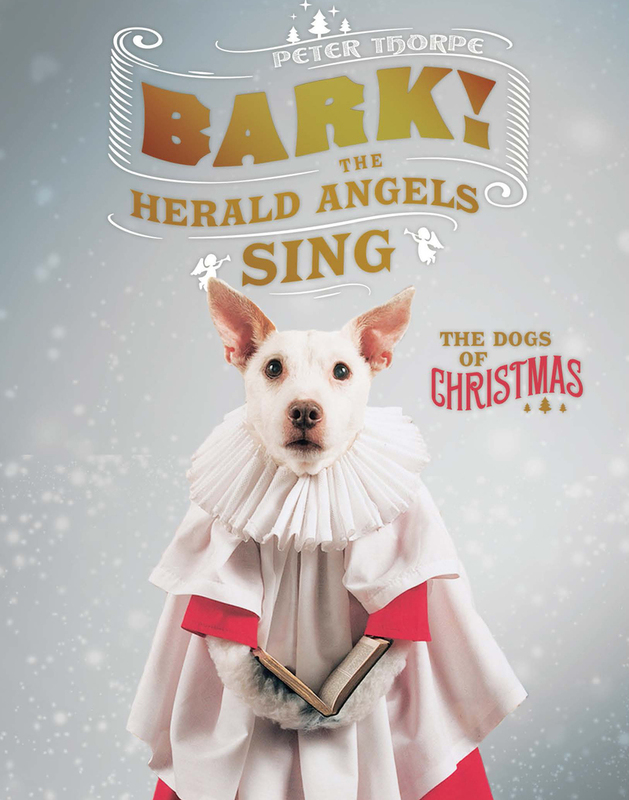 The Herald Angels Sing will bring a smile to even the most devoted Scrooge. Decked out in the finest of holiday garb, strutting against backgrounds that evoke locales as varied as Charles Dickens’ London and the ice floes of Antarctica, an adorable dog strikes a pose. Another Christmas card in the bag. But the scenes weren't always so ornate. Photographer Peter Thorpe's first dog holiday shoot went more like this: dog, pair of antlers, red Rudolph nose, done. That card went out to family and friends—and the rest, as they say, is history. From Rudolph in 1990 to Santa in 2015, Paddy and Raggles, donned in festive costumes, adorned cards every December without fail. Collected here, the photographs—and the outtakes—include Paddy as tree-topper and Raggles dressed as a sheep in a stable, Robin Red Breast, and, of course, Ebenezer Scrooge. In prose that accompanies each image, Thorpe describes his inspiration for a given card. He kept to photographic traditions of yesteryear, making his own sets and props—no digital retouching here. With sly humor and faux how-to directions, he suggests how readers might attempt to capture the same scenes with their pups. (Spoiler alert: Dog models must be able to balance on top of a Christmas tree and their owners will need woodworking skills to build giant mousetraps.) This book is sure to become a tradition of its very own. Peter Thorpe is a commercial photographer for advertising and marketing campaigns. He has always enjoyed the traditional process of creating theatrical sets and props in the studio, often using humor in his photographs. Thorpe lives in Bristol, UK, with his wife, three sons and a rescue terrier named Raggle.